Back in 2013, I visited the UNESCO World Heritage Site of Halong Bay in Vietnam and was sorely disappointed. It weather was wet and cold. The entire bay was foggy and had poor visibility. Photos came out dull and uninteresting. When it comes to natural attractions, one is always at the mercy of mother nature. It’s unfortunate when the weather is not on your side, but there’s little you could do other than to shrug it off. Fast forward to a few months ago when I brought my family to Hanoi. I’ve been to Vietnam many times and I thought it would be nice to bring them around. 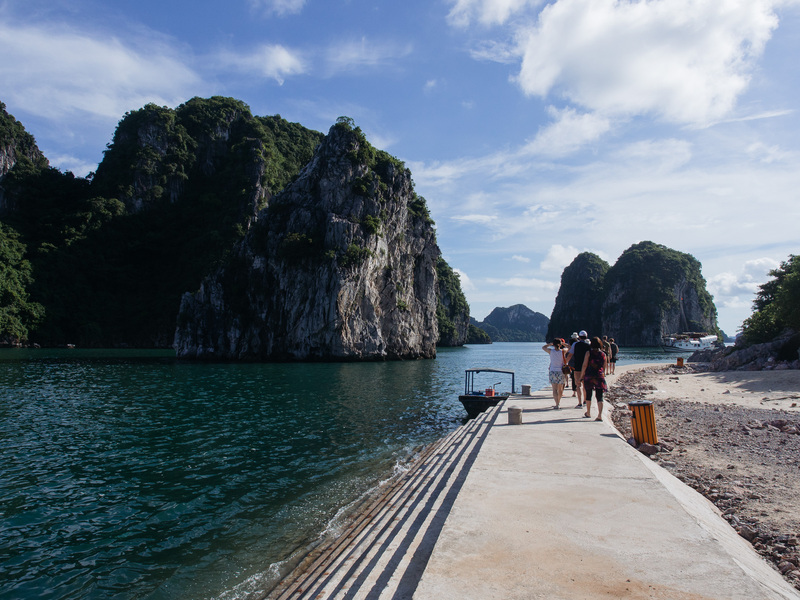 Moreover, it was a chance to revisit Halong Bay. October was supposedly a good time to visit, so I was pretty confident about the trip. And indeed, the weather was an absolute delight. The difference it made was huge: From the foggy set of Pirate of The Caribbean a few years ago to the mystical paradise that it should be, the sky was clear with its blues reflected by the sea. 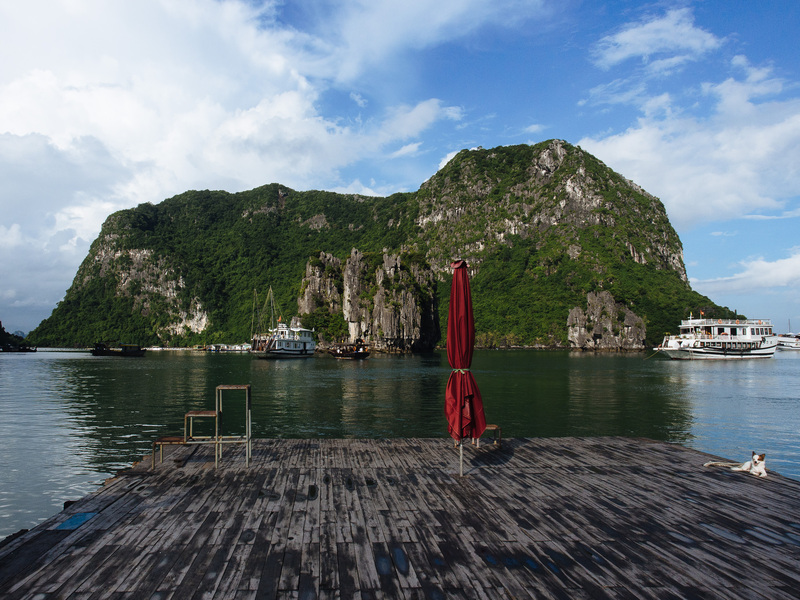 As we sailed deep into the bay, we were treated to 360º view of karst limestones and islands. 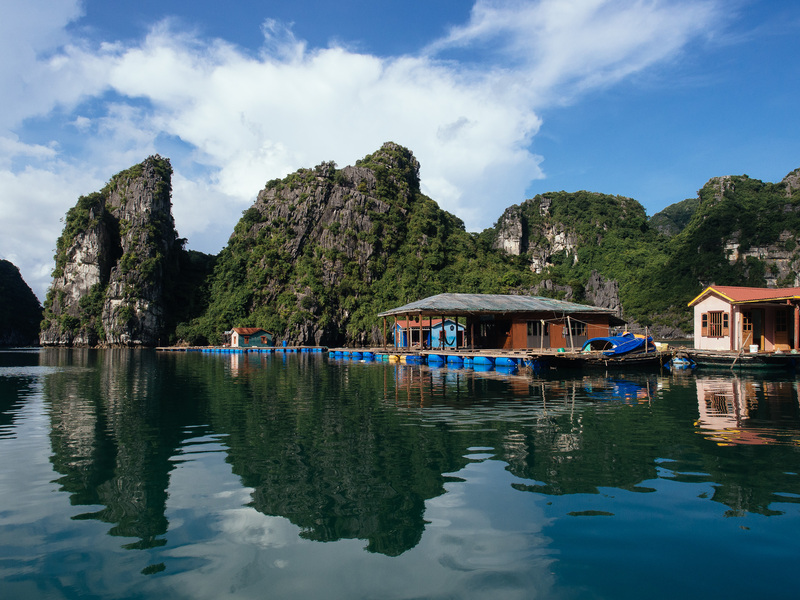 The attraction of Halong Bay isn’t so much of about the beauty of one spot than the sheer number of the limestones. It was breathtaking. My favourite part of the tour was on the 2nd day when we disembarked from the cruise and hopped onto smaller boats. 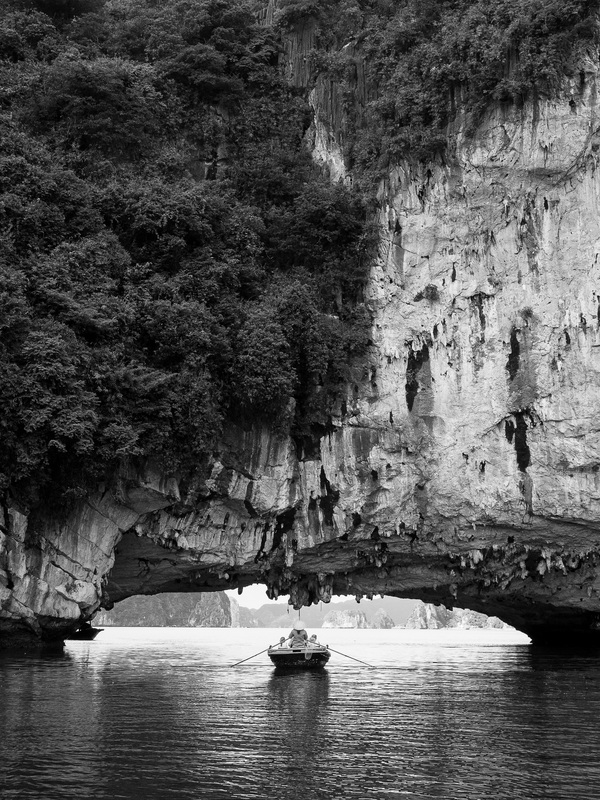 We were brought to a fishing village, hidden from plain sight by the surrounding karst islands. It was tranquil and far away from the other crowd. 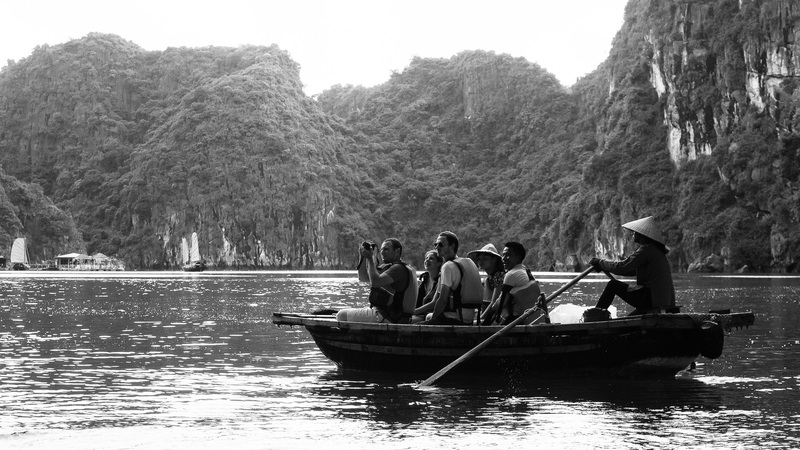 This is the Halong Bay I imagined many years ago. As we sailed back to shore later in the day, the clear sky from the previous day was replaced by grey clouds. It started drizzling. For the sake of the next batch’s visitors, I hoped that the rain would stop soon and they will be treated to the same view we got. But I guess mother nature can be cruel sometimes. I’m just delighted that I don’t have to return for a 3rd time. In search of Kong. Throwback to the magnificent Halong Bay. I visited Halong for the first time 4 years ago but the weather was misty and visibility was poor. 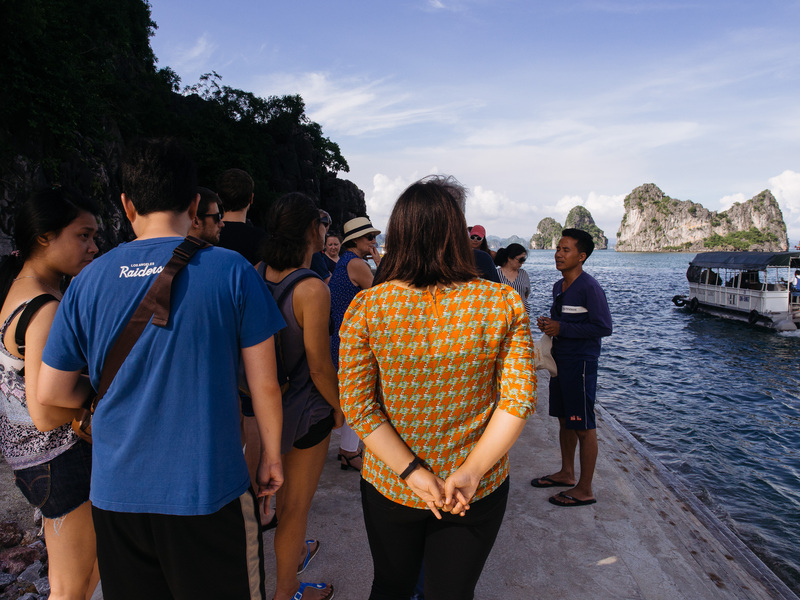 This time, the sky was clear and revealed a horizon surrounded by endless karst islands. 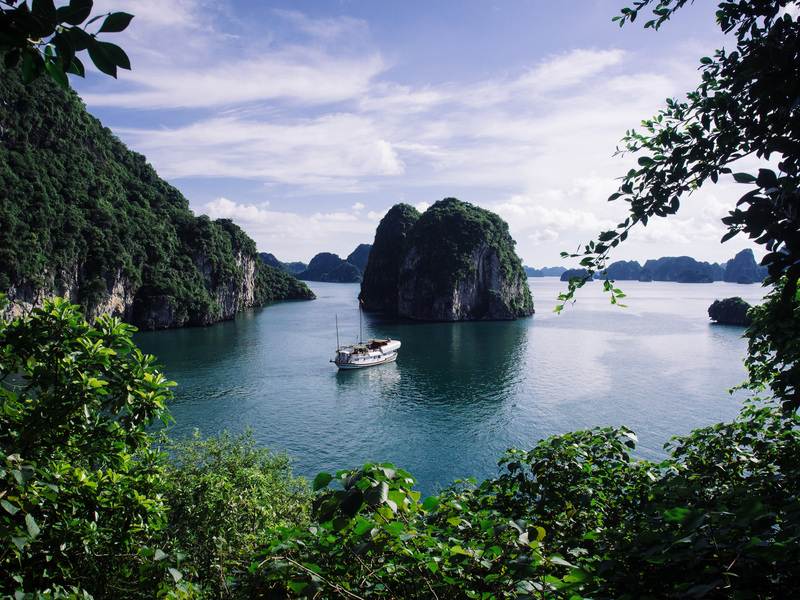 Halong Bay can be reached from Vietnam’s capital, Hanoi. The journey takes about 4 to 5 hours on car. 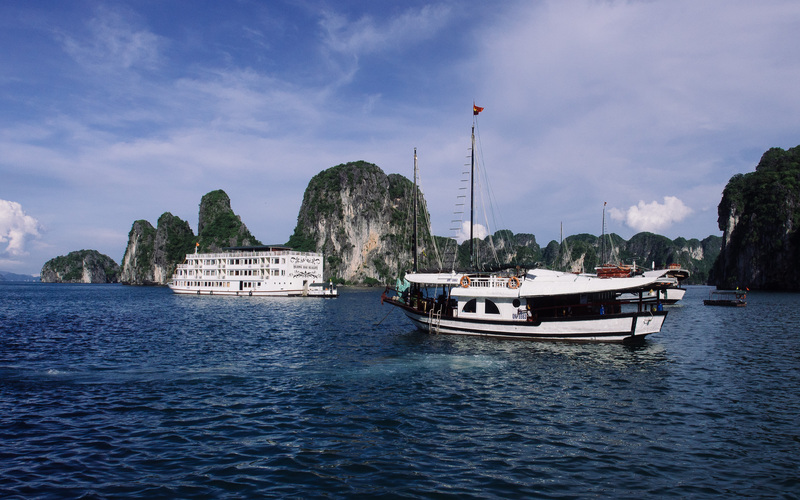 We took the 2d1n tour from Indochina Junk that included transfer to and fro Hanoi. Although the tour is pricey for Vietnamese standards, everything from the tour guide to the food served on board was of 5 star standards. They were extremely reliable and respond to email promptly. Highly recommended if you’re ready to splurge. There are several other tour operators that you could check online, but I believe they are mostly similarly priced. For cheaper mid-range tours, do check with your hotel/hostel, or could even wait until you’re in Hanoi to book. There are plenty of tour agencies in Hanoi that offers the tour daily, but you will need to ask around. These tours range from super-budget ‘party cruises’ to mid-range tours. 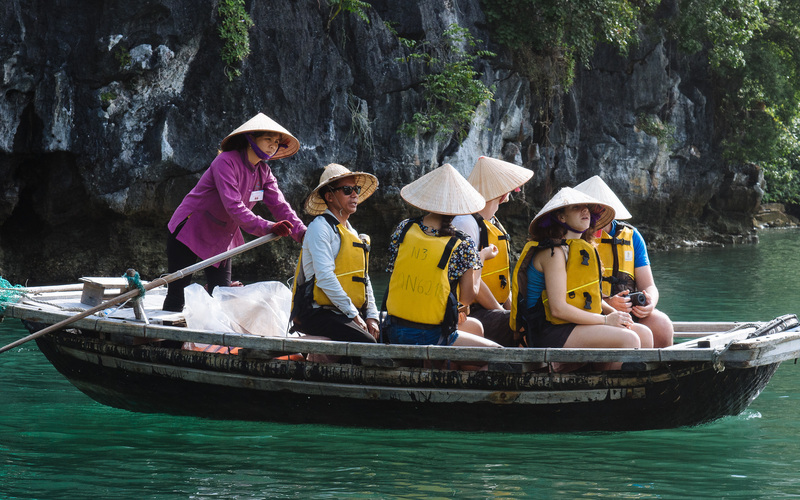 Bear in mind that most, if not all tours include return transportation from Hanoi, lodging on the boat as well as food & various activities such as cave visit and kayaking. So do your research and speak to accommodation staff to see if they are able to assist you. Alternatively, if you’re on a shoestring budget and feeling adventurous, it’s also possible to organize the trip independently. You could take a bus or train to Hai Phong from Hanoi, and base yourself there. There are plenty of written guides online, Google them. Really spectacular photos. Halong bay is really stunning!